Food choices, exercise, stress-management, water consumption — they all help contribute to your ability to stay looking and feeling younger longer. Facials, botox, retinol and collagen — they give you that extra competitive edge as you fight the signs of aging. Yet, statistics show that many people are ignoring one of the first and most obvious signs of aging even though it’s easy to treat. In fact, treatment makes it barely noticeable, if at all. It costs less than many people spend in a year trying to look young yet lasts for up to 10 years. Despite all of this, people are actually opting not to treat it because, guess what? They think treating it is what makes them seem older. Ironically, treating it helps you look and feel younger longer. Hearing–Is It Related to Age? Noise-induced hearing loss isn’t caused by aging, but according to the US Department of Health, age is the strongest predictor of hearing loss. Because of this, it’s largely perceived to be a sign of aging in our society. Your inner ear is a very sensitive mechanism that lacks the ability to heal itself like other parts of the body. Once damage is done, it’s most often permanent, and as you age, this damage builds. You can take steps to prevent hearing loss, but chances are you will experience hearing loss as you age. The other 50%, 75% and 91.5% have varying levels of hearing loss that may still affect their ability to stay active and social. Treatment isn’t reserved for people who can’t hear at all. In fact, if you can’t hear at all, there’s little to nothing a doctor can do. 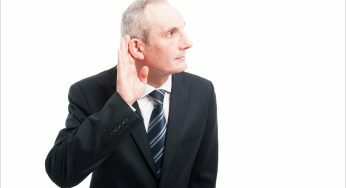 Despite the prevalence of hearing loss among middle age and senior Americans, the Department of Health estimates that less than 30% of people who would benefit from treatment get it. That treatment is hearing aids. There are many reasons that people don’t get treatment for hearing loss. Many people won’t get tested, because they think their hearing isn’t that bad compared to someone with “real” hearing loss. They think hearing aids are only for people with profound hearing loss. The truth is even if you only have moderate hearing loss, hearing aids can significantly improve your ability to stay active, social, and experience life. Saying “what?”, “speak up”; or grumbling about how people talk all the time is a dead giveaway. It’s hard to fake being able to hear. People see you as older. And you’ll feel older too. It’s called denial. But hearing loss doesn’t go away. It’s permanent. You can’t treat it with herbs, diet or supplements. If you think you might need hearing aids, the best thing you can do is schedule a hearing test. Depression, Anxiety and social isolation risk goes up by about 30% in people who struggle with hearing. People with hearing loss slowly spend less time doing things they love and being with people they love. Studies show that people with untreated hearing loss also have a lot more arguments with loved ones. But this risk evaporates when you get the hearing loss treated. Many people envision the clunky, squealing, staticky hearing aids their dad wore. Hearing aids today are digital. They’re technologically advanced. They adapt to various setting that maximize the hearing experience. 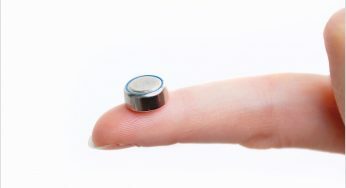 They can even connect wirelessly to a smartphone, TV or sound system. If you’re waiting to get hearing aids, consider what you’re missing. Start by getting a hearing test and find out how great it is to hear again.